The ERB Emerging Visions Filmmaker Award is meant to encourage the growth and development of women and women-identified artists and technicians traditionally underrepresented in the film and digital industry. In particular, through this award we seek to foster connections between young creators and the artists and writers working on our books in ways that build confidence, skills, and provide a realistic glimpse of how working artists create and collaborate. 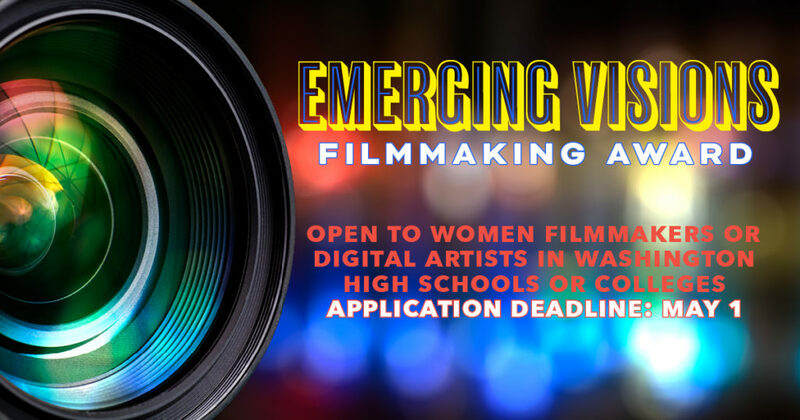 In 2019, we are seeking women and women-identified filmmakers or digital artists in Washington State high schools or colleges to create a short film in collaboration with Seattle writer E. Briskin for the forthcoming book, Orange. A compulsive, spiraling text, Orange is a book of mourning— a book of questions unmoored from their answers. With humor, playfulness, and digressions into animal psychology and science, the narrator builds a framework for understanding loss— but can the reader trust this guide? What is the loss? Is there even a dog? A disquisition on gendering, consumption, and the dis-ordered self in community, Orange uses its form to build a story about how grief fractures the world around us and the narratives we create to repair it. To be considered for this award, please submit no more than three links to previous videos or digital experiences of which you have been the primary creator. Read the above description of the book, check out the sample pages, and then write a paragraph or two about your interest in the project and your ideas for a short film or digital experience. Please limit yourself to no more than 500 words or five story boards. We are looking for a work we can share on our YouTube channel and/or as part of a digital download with the book. The artist will retain rights to their creation. We are cognizant this is not much money and are quite comfortable with short work— we would like the final piece to be UNDER THREE MINUTES. We have found it is almost impossible to help arrange screenings in festivals with longer work. PLEASE NOTE, we are NOT interested in a film that faithfully excerpts the book or includes interviews with its author. We are interested in your creative response and interpretation of some of the issues raised in the book; for example — What is grief? How does grief manifest itself in daily living? Is grief a disordered state? Please submit via email to publisher@entreriosbooks.com. Videos and proposals will be reviewed by the writers and publisher for originality, the elusive “good fit,” and feasibility. We will notify the recipient of this award no later than May 15, at which time we will require a recommendation by an advisor, teacher, or program director on the ability of the selected artist to complete the work by October 1. We want to ensure that the student has access to the tools they need to complete this project in this timeframe. Upon receipt of the recommendation, we will provide the student with a copy of Orange and the opportunity to work with Eli as we move toward publication. The student’s film will be premiered at the book’s launch and shown at readings for other Entre Rios books to be published in the late fall of 2019. 2017 ERB Emerging Visions Filmmaker Award Film, Alchemy for Cells & Other Beasts, by Rebecca Starkey: here. 2018 ERB Emerging Visions Filmmaker Award Film, Olive, by Sarah Lintakoon: here.